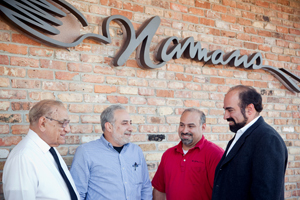 Since 1989, Naman’s Catering has been catering thousands of special events across the Gulf Coast area. Our menus draw from years of experience and a diverse range of cuisines and cultures. 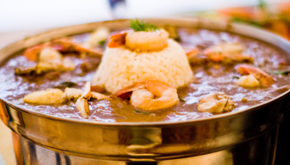 We understand that the food we prepare is crucial to the success of the events we undertake. We work closely with our clients to ensure that we help them to achieve their vision. At Naman’s, great food is just the starting point. There’s a reason folks consider us one of the leading catering companies. We’re happy to share our event planning expertise and introduce our clients to the best vendors and venues throughout the Gulf Coast area. If you need help finding a specific resource, we do whatever it takes to achieve your vision. When the big day arrives, we will go the extra mile to make sure that your event goes off without a hitch. If guest and buffet tables need attention or arranging, we’re always happy to jump in. Our goal is to make sure that every event goes smoothly. Great food and happy, results-oriented staff are a big part of our success.